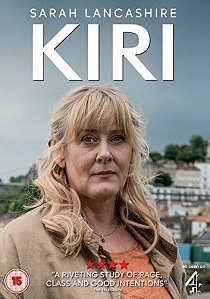 BAFTA award-winning writer Jack Thorne returns with Kiri, the powerful and compelling new 4-part serial drama, released on DVD 19th February 2018 from Spirit Entertainment. BAFTA award-winning writer Jack Thorne (National Treasure) returns with a powerful and compelling new 4-part serial drama. Kiri examines the abduction and death of a young black girl, named Kiri, who is soon-to-be-adopted by her white foster family, and the trail of lies, blame, guilt and notoriety that follows. At the heart of the drama lies Miriam, played by BAFTA and RTS award-winner Sarah Lancashire (Happy Valley, Last Tango in Halifax), an experienced, no-nonsense social worker who loves and believes in her job, but has a maverick and instinctive approach to protecting the children in her care. 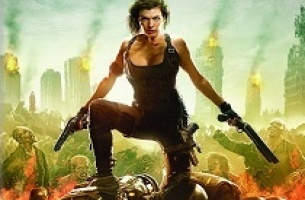 Miriam arranges for Kiri to have an unsupervised visit with her biological grandparents. But when Kiri disappears during the visit, the fingers of suspicion and blame from the police, the press, and even her colleagues, point firmly at Miriam. As the media spotlight around the story intensifies, Miriam, as well as both sets of families, are forced to ask the toughest questions, not just of themselves, but of each other. Kiri is released on DVD 19th February 2018 from Spirit Entertainment.